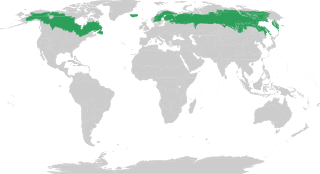 Finno-Ugric, Finno-Ugrian or Fenno-Ugric is a traditional grouping of all languages in the Uralic language family except the Samoyedic languages. Its commonly accepted status as a subfamily of Uralic is based on criteria formulated in the 19th century and is criticized by some contemporary linguists as inaccurate and misleading. The three most-spoken Uralic languages, Hungarian, Finnish, and Estonian, are all included in Finno-Ugric, although linguistic roots common to both branches of the traditional Finno-Ugric language tree are distant. The Finnic peoples or Baltic Finns are Finno-Ugric peoples inhabiting the region around the Baltic Sea in Northern Europe who speak Finnic languages, including the Finns proper, Estonians, Karelians, Veps, Izhorians, Votes, and Livonians, as well as their descendants worldwide. In some cases the Kvens, Ingrians, Tornedalians and speakers of Meänkieli are also included separately rather than as a part of Finns proper.